With emphasis in Ethnic Studies, as well as visual and literary arts. Creator, Producer and Host, May 2014 to present, “On the Ground: Voices of Resistance from the Nation’s Capital,” a nationally syndicated weekly news magazine on WPFW-FM Pacifica Radio, Washington, DC. Creator and Manager of Independent Media, March 2000 to present. I have created pioneering and award-winning content for critical voices on arts, media and politics. Projects include SeeingBlack.com, the Pacifica radio show “On the Ground” and content supplied to BET.com, National Public Radio, Heart and Soul magazine, Huffington Post, Service Employees International Union, universities and other not-for-profit organizations. Experienced working with advertisers, grant-writing, content contributors, various CMS, website redesign, HTML and CSS, social media, digital strategies, as well as Photoshop, InDesign, Audition and Premiere software programs. Co-Host, Co-Producer, “What’s at Stake,” a weekly news magazine on WPFW-FM Pacifica Radio, Washington, DC, March 2010 to 2013. Included reporting segment ideas, booking interviews, editing audio, contributing to the script, on-air interviews and reviews. Subjects included the economy and jobs, criminal justice, environment, science, technology, culture and world affairs. Also, 2011-2012, producer and host of the Wednesday edition of WPFW’s “Community Comment” producer for other shows at WPFW since 2001. Contributing Film and Arts Critic for BET.com, Washington, DC, February 2000 to December 2007. For Tom Joyner’s BlackAmericaWeb.com, 2006 to 2009. Weekly reviews and reporting on a wide range of arts, popular culture and media. Staff Writer, The Washington Post, Washington, DC, November 1995 to February 2000. Arts writer and critic for the Style section. Staff Writer, New York Newsday, New York, NY, August 1988 to August 1995. Wrote critical essays, reviews and features. Developed and produced the weekly “Arts in the Boroughs’’ section focusing on New York City’s diverse neighborhoods. Staff Writer, The New York Times, New York, NY, September March 1987 to March 1988. General assignment, Metropolitan section. Covered all subjects, from crime to the United Nations. Before writing for Metropolitan, wrote as a news assistant on the national desk. Staff Writer, The Wilmington News-Journal, Wilmington, DE, June 1983 to September 1985. General assignment and beat coverage of municipal affairs in Delaware and Southeastern Pennsylvania. 2018 Fellow in the Humanities, DC Commission on the Arts and Humanities Awardee, DC Commission on the Arts and Humanities, for the radio series ‘DC in the Era of Climate Change,’ 2018. Awardee, The Puffin Foundation, for the radio segments “The F-Word: Conversations about Fascism” on “On the Ground: Voices of Resistance from the Nation’s Capital,” June 2017. Awardee, Grit Fund, The Contemporary, Baltimore, for my installation, “Regeneration: Olokun of the Galaxy,” at XXChange, AREA 405 Gallery, Baltimore, November 2016. Awardee, DC Commission on the Arts and Humanities, for the radio series “Black Power at 50 in DC, 1966-2106, October 2016. Awardee, Diverse City Fund, mini grants for ‘On the Ground’ radio show, 2015, 2016, 2017, 2018. Fellow, USC Annenberg-Getty Arts Journalism Program, May-June 2007. Finalist, National Online Journalism Awards, 2006. SeeingBlack.com recognized for commentary. and the National Endowment for the Arts for literature. Also, recipient of a humanities grant from the DC Commission on the Arts and Humanities for redevelopment of SeeingBlack.com. October 2005. Fellow, the National Arts Journalism Program, funded by the Pew Charitable Trusts. Chosen from a national field of applicants. Studied visual arts, film, music, literature, as well as art theory and criticism at Columbia University. 1994-1995. Semi-Finalist, The Discovery/Nation Poetry Competition. 1994. Recipient, The Journalism Award, The Black American Heritage Foundation, New York, NY, 1993. Also, from 1988 to the present, several editor prizes from Newsday, as well as citations from community and professional groups. Before that, several college scholarships for journalism study. 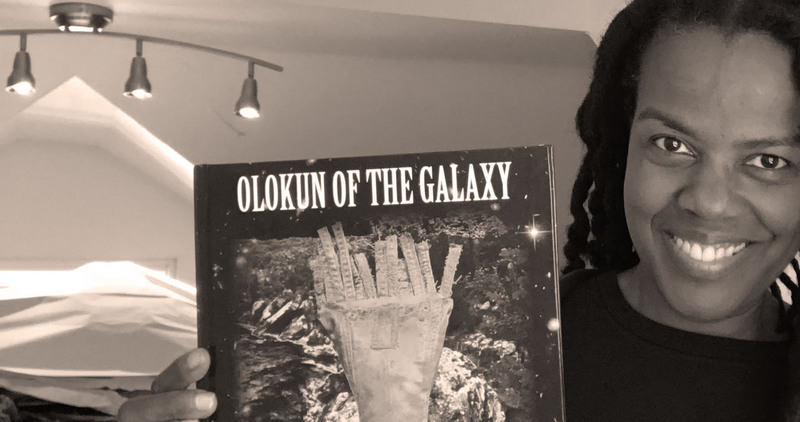 Olokun of the Galaxy, Seeing Black Press, November 2017. Hatchette Book Group, April 2007. Africa World Press, January 2006. The Time: Portrait of a Journey Home, poems and photographs, Africa World Press, April 1994. Resisting Arrest: Poems to Stretch to the Sky, ed. Tony Medina, Jacar Press, 2016. Amazing Graces, Fiction By Washington-Area Women, ed. 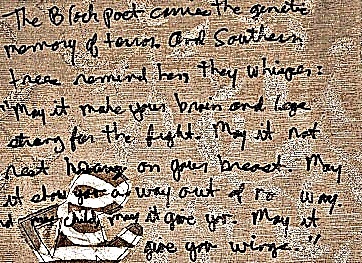 Richard Peabody, Paycock Press, 2012. Earth Shattering: Eco Poems, edited by Neil Astley, Bloodaxe Books, 2007. Aunties: Thirty Five Writers Celebrate Their Other Mother, edited by Ingrid Sturgis, Ballantine Books, Random House, 2004. DC Poets Against the War, ed. Browning, Elliot and Rose, Argonne House Press, 2003. Beyond the Frontier, African American Poetry for the 21st Century, edited by E. Ethelbert Miller, Black Classic Press, 2002. Role Call: A Generational Anthology of Social And Political Black Literature and Art, edited by Tony Medina, Samiya A. Bashir, et al, Third World Press, January 2002. Step Into A World: The New Black Literature, edited by Kevin Powell, John Wiley & Sons, 2000. Tough Love: The Life and Death of Tupac Shakur, ed. Kwame Alexander, Alexander Publishing, 1997. The Garden Thrives: Twentieth Century African American Poets, Edited by Clarence Major, Harper Collins, 1996. Patterns Plus, a collection of contemporary essays for college students. Edited by Mary Lou Conlin, Houghton Mifflin, 1994. Walk on The Wild Side, Edited by Nicholas Christopher, Charles Scribner’s Sons, 1994. In The Tradition: An Anthology of Young, Black Writers, Edited by Ras Baraka and Kevin Powell, Harlem River Press, 1992. Publication in Journals, including Gargoyle, The Nation, The African American Review, Obsidian II, The Painted Bride Quarterly, the American Poetry Review, HEAT, Sunbury and Forward Motion. New York Historical Society, New York, NY, May – September 2018; Henry Ford Museum, Dearborn, MI, October 2018 – January 2019; George Washington University Museum and The Textile Museum, Washington, DC, February 2019 – April 2019; Museum of Fine Arts, Houston, TX, December 2019 – March 2020; Norman Rockwell Museum, Stockbridge, MA, June 2020 – October 2020. “Stories/Narratives/Quotes,” Takoma Park Center Gallery, Takoma, MD. November – December 2018. 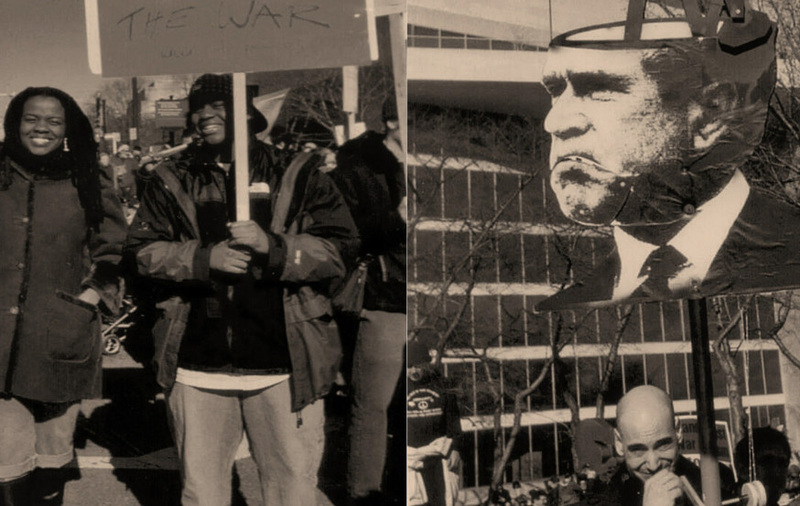 “Imaging Freedom: Reflections of Resistance and Joy,” DC Arts Center, Washington, DC, December 15, 2017-January 14, 2018. “Kindred: Celebrating our Ancestors,” National Juried Show, Annmarie Sculpture and Art Center, Dowell, MD, August 11, 2017 – January 28, 2018. “The Really Affordable Art Show” and Salon, BWAC Gallery, Brooklyn Waterfront Artists Coalition, Brooklyn, NY, Sept. 23, 2017-October 15, 2017. “Art of Engagement” National Juried Show, Touchstone Gallery Washington DC, August 4-August 24, 2017. “Selected Works,” Solo show at The Den at the Anacostia Arts Center, Wash, DC 20020, May 10-June 4, 2017. “We Who Believe in Freedom,” Pepco-Edison Gallery, Washington, DC. Two works, “They Hate Us For Our Freedom?” and “Through Many Dangers, Toils and Snares,” included in the exhibit on view April 10-28, 2017. “Migration 61,” Busboys and Poets in association with the Phillips Collection. 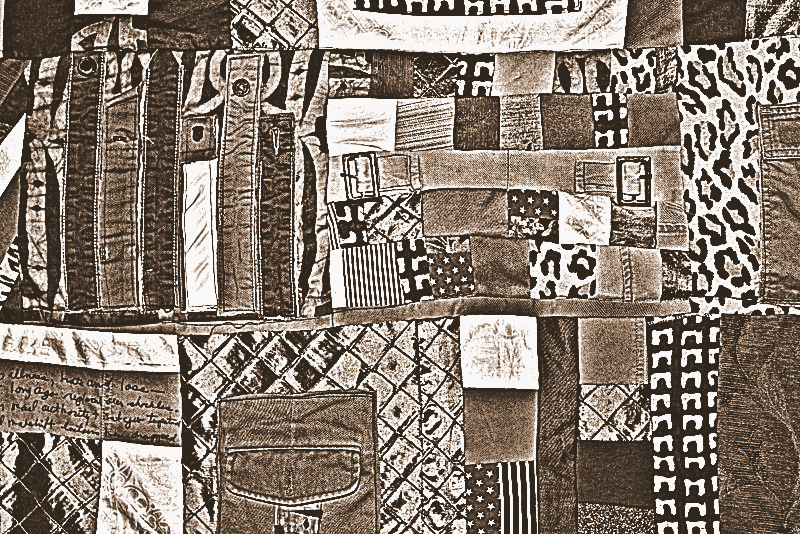 Quilt, “Through Many Dangers, Toils and Snares,” Washington, DC., October 2016-March 2017. “Aluminosity,” Curated for Black Artists of DC exhibit of five artists who utilize aluminum in the creation or fabrication of their work. DCAC-District of Columbia Arts Center, Washington, DC, Dec. 2016-January 2017. Arnold, MD, November 18-December 19, 2016. “XXChange,” AREA 405, My installation of pants dolls “Regeneration” exhibited by the Baltimore Women Maker’s Collective, Baltimore, MD. November 4 – December 1, 2016. “Terra Nostra,” my poem “Earth Screaming” included in a multi-part oratorio by composer Stacy Garrop, commissioned by the San Francisco Choral Society, 2015-2016. “At War with Ourselves, the Battle for the Black-faced Boy,” Brentwood Arts Exchange, Brentwood Maryland. May 25 – July 18, 2015. “Black to the Future: Meditations on Regeneration,” 410 GooDBuddY Art Space, Washington, DC, March7-April 12, 2015. One-woman show. 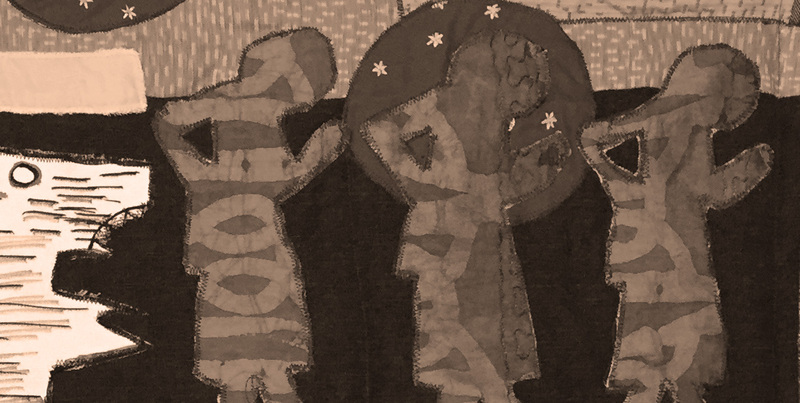 “Emancipation: Meditations on Freedom,” DCAC, Washington, DC, November 2013-January 2014, Artist, Curator and Catalog Editor. “Living Life Like It’s Golden,” Bowie State Art Gallery, Bowie Maryland, February 13 – March 13, 2013. Opening reception February 21. Artist’s talk, Feb. 27. “Show Me What You’re Working With,” Brentwood Arts Exchange, Brentwood Maryland, Feb. 11-April 6, 2013. Reception, Feb. 16. Artist’s Talk, Mar. 9. “A/Way Home,” District of Columbia Arts Center, Washington, DC, Nov. 30 2012-Jan. 6, 2013. Reception, November 30. Artist’s Talk, Jan. 6. Received in the Washington Post. 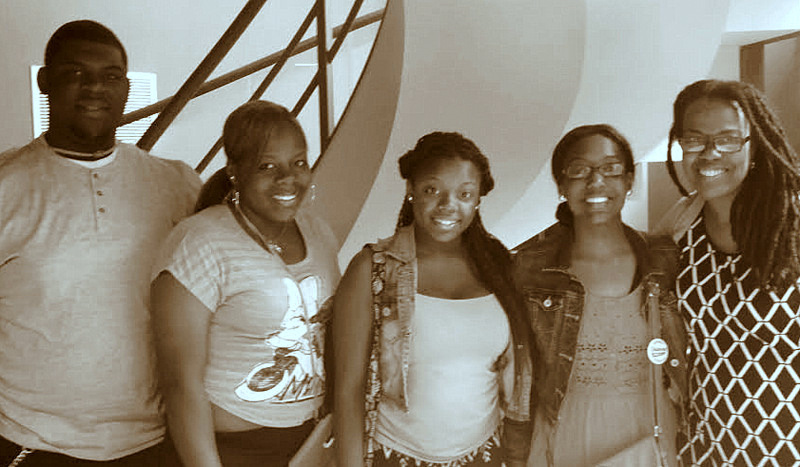 “Mermaids & Merwomen in Black Folklore,” City Gallery at Waterfront Park, Charleston, SC, August 28-October 28, 2012. Reception, September 8. “#myDeanwood: Honoring the Past to Create the Future,” DeanwoodxDesign ArtPlace Temporium, Tubman-Mahan Gallery, Washington, DC July 20-August 31, 2012. “Mermaids & Merwomen in Black Folklore,” North Charleston Arts Festival, Charleston, SC, May 1 – June 10, 2012. “We Carry These Memories Inside of We,” Daughters of the Dust Anniversary Exhibit, Charleston, SC, Sept. 1-Dec. 15, 2011. “Art/Humanity,” North Charleston Arts Festival, Charleston, SC, April 29 – June 13, 2011. “The Oya Series,” A visual arts debut, The Zimstone Gallery, Hyattsville, MD, April 17-May 22, 2010. Libretto for “Turn Pain Into Power,’’ a counter-quincentennial jazz suite by the late Fred Ho and the Afro-Asian Music Ensemble, 1992-1997. Also, libretto for “Yes Means Yes, No Means No–Whatever She Wears, Wherever She Goes,’’ by Fred Ho, 1998. Also, performances and collaborations with Black Voices for Peace and the late Damu Smith, DC Poets Against The War, the Smithsonian Institute, Busboys and Poets and the Ascension Writer’s series in Washington, DC; the Atlanta Arts Festival and the National Black Arts Festival in Atlanta; the Darkroom Collective in Boston; the Painted Bride Arts Center and Temple University in Philadelphia; the Nuyorican Poets Café in New York City and the University of California at Los Angeles. Adjunct Professor, Information Technology, Trinity University, January 2012 to 2013, Washington, D.C. I planned and taught methods of researching in libraries and on the Internet, with various databases, including scholarly sources. I also taught APA- and Chicago-style research paper formats, tested students on current events and introduced various topics on the role of information and media in modern society. Adjunct Professor, Journalism, Howard University, September 2007 to May 2008, Washington, D.C. Planned courses and taught introduction to news writing, as well as specialized reporting. Assigned and graded weekly assignments and exams on current events, as well as special projects. Instructor, Literary Media, Duke Ellington High School for the Performing Arts, September 2007 to June 2009. As part-time employee, re-launched the school newspaper, The Green Chair and published it monthly. Launched online version of the publication by building a new collaboration with the High School Journalism Program of the American Society of Newspaper Editors. Taught introduction to reporting, news writing, criticism, basic photography and layout with InDesign software. Coordinated limited computer resources and facilitated relationships with printers and other vendors. Writing Workshop Leader for D.C. WritersCorps at MacFarland Middle School, Garnet-Patterson Middle School and for a journalism summer camp operated by the D.C. Department of Parks and Recreation, September 2003 – August 2006. Planned and taught workshops in creative writing and journalism. Coordinated publication of student writing in annual anthologies and mini-newspapers. Guest Speaker on media, art and culture at colleges and organizations around the country, including George Washington University, Hampton University, Duke University, Northwestern University and Morgan State University. I have worked with the Prime Movers Program at George Washington University, for the Hurston-Wright Foundation and supervised journalism interns from Howard University and American University. Additional Bibliography, including reviews and citations of my work, available upon request. Travel destinations include South Africa; several countries in West Africa, including Senegal, Gambia, Cote D’Ivoire, Togo, Sierra Leone; also, Brazil, Mexico, Cuba, throughout the Caribbean and throughout the United States. Raised more than $16,000 for the public elementary school my son attended. Volunteered at the Community Education Program at Temple University in Philadelphia. Volunteered to speak to students, and to produce neighborhood and school newsletters.